Duplicate Files Fixer review: automatically detect and remove duplicate items to save space. 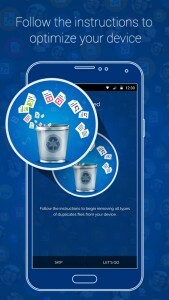 Does your device run out of storage, forcing you to painstakingly go through your phone and delete your contents ? Too busy or just too tired to go through your contents? Worry no more! 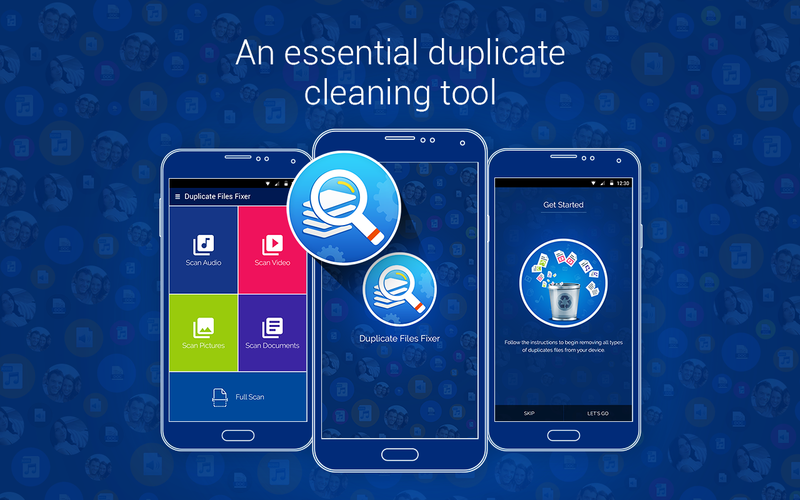 Duplicate Files Fixer(free), available and rated 4.5 stars on the Google Play Store, does all this for you. Entailing a simplistic and easy to use interface, this is a user-friendly application that can be operated by anyone. Within the program, you are met by several options including Scan Audio, Scan Videos, Scan Pictures, Scan Documents and Full Scan. 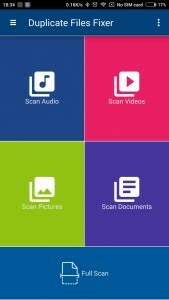 Upon inspecting the miscellaneous categories, your device will scan each for the respective content and display a screen with all the duplicates. It then has all the duplicates selected and gives you the ability to unmark the duplicates you intend on keeping. After pressing the delete button, you are asked to confirm your decision in the event of you making an error. 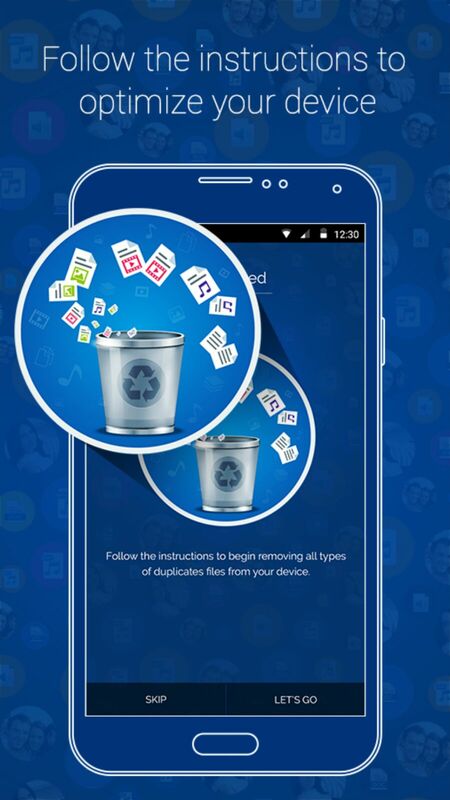 Although the purpose of this application is to optimize your tech by cleaning duplicate files, it does not include the option to delete the original file. Sometimes when choosing what to clean, you may come across files you have no intention of keeping and want to delete it as well as the duplicate, but alas, you can only remove the duplicate and have to locate the original afterwards. Perhaps developers would take a look into that matter. I used this application for a mere few hours and found that it is an absolute blessing. I was able to delete approximately 800 megabytes of duplicate files alone, including pictures, voice notes, music tracks and documents. It’s a really simple program and has only one screen excluding the help menu which includes a basic tutorial of pictures. Despite the few flaws and improvements which could be made, Duplicate Files Fixer was definitely well thought out and has a smooth and polished UI. In conclusion, this simple program is definitely worth downloading, and it will most definitely help you clean up your device and free some space for your more important information, but more so, it will help save your time.